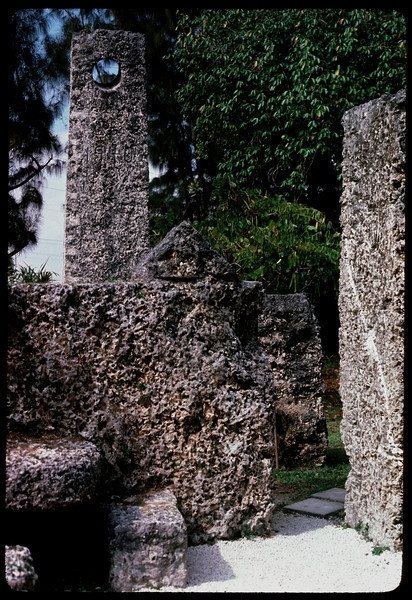 This is the REAL Coral Castle Code. Traced with my dime, try it at home. Pretty cool, could you elaborate on the significance and how else it might be applied? Can't say I've exactly found how to apply it. But I'm suspecting that edm calls the golden curves he makes in edl's works, edl's 'thread', as he does with the lines of the 'rockets' he shows. If he's showing us something similar with golden rectangles, perhaps turning them into golden spirals will get another 'thread' of readable material. Since he shows on page 105, a similar thing to what I've shown above, I presume he's already shown what to do, just not where and how. I actually suspect edm's cover is the key. Plain as day, right out in the open, there's the opposing phi spirals, similar to the 'seed' I've planted with the dime. Edl gave us a start point, err, 4 possible start points. Would be my next guess, or has been my best guess since I found this. RING TWICE as EDL says. Speaking of page 105, did you notice how the curves have snake-like heads, unlike EDL's version on the cover of MC? "Speaking of page 105, did you notice how the curves have snake-like heads, unlike EDL's version on the cover of MC?" 2pi is not spin, but Pi is the ratio between a circular disc and it's enclosing square. , by rotation it is the ratio between the enclosing cylinder to a sphere. . The ratio between an enclosing cube and a sphere is 4/3 Pi. interesting as I read C O Pi right, and I also interperate pi as 3.14 which I used to get 3/4 of a circle... perhaps ed's other meaning was the 4/3 pi relationship between a cube and sphere. That's interesting... so much math. Going back to page 2 in this thread... I showed a possible connection to edl and ABIEH, Jj thomson, and george paget. I also noted how edl seems to reference wave theory, including his including the famous 2 slit experiment in his "room of repentance". Well, google got me thinking there's more. Today's google doodle is about Max Born. Here's the doodle, and I circled the part that clued me. Notice those 'bullseye' vesica pisces, and the neptune or 'wave function'. Now go to page 105 of EDM, it's all there. So where could edl mention Born? On page 21 of ABIEH he mentions "you come into this world through natural circumstances". Or, you are born. Not so interesting, but the same quote keeps coming up when I start to read about Born. "I believe that ideas such as absolute certitude, absolute exactness, final truth, etc. are figments of the imagination which should not be admissible in any field of science. On the other hand, any assertion of probability is either right or wrong from the standpoint of the theory on which it is based. This loosening of thinking (Lockerung des Denkens) seems to me to be the greatest blessing which modern science has given to us. For the belief in a single truth and in being the possessor thereof is the root cause of all evil in the world." I read that this was part of Born's acceptance speech at the Nobel prize in 1954. But, I don't see it anywhere in the speech, and I haven't located the date of this quote yet. It comes up in the 'loose' google searches and wikipedia, and until I read some more to track it down, I can't pinpoint when and where Born said this. I find it interesting that this quote comes up though, and after reading page 21 of ABIEH, there is the glaring 'right or wrong' both in the quote and on page 21. Going to the Nobel prize site, you find this instead, but It's just as interesting, when you read Born's words about 'politics', and notice 'Nature', capitalized in the speech transcript, and on page 21 of ABIEH. When the work of a scientist is regarded by the Royal Swedish Academy of Science worth of the Nobel Prize, the highest honour open to a scholar, he will sense not only the deepest gratitude for this distinction but also a feeling of indebtedness to all those who have gone before and beside him. This feeling of all working together in the same direction is one of the most rewarding experiences of a scientist. We are a great fellowship, men of all nations seeking after the truth. It is my greatest hope that the modern trend to subjugate science to politics and to inhuman ends and to erect barriers of fear and suspicion around national groups of scientists will not continue. For it is against the spirit of scientific research, as the mind can grow and bear fruit only in freedom. The work for which the Nobel Prize has been awarded to me is of a kind which has no immediate effect on human life and activity, but rather on human thinking. But indirectly it had a considerable influence not only in physics but in other fields of human endeavour. This transformation of thinking in which I have taken part is however a real child of science, not of philosophy: it was not the result of speculation, but forced upon us by the observed properties of Nature. The facts known up to the end of the 19th century seemed to indicate that the world was a perfect mechanism, an automaton, so that if its configuration were known at a given instant its future behaviour could be predicted with certainty. This deterministic view was still generally accepted when I was young. But then new facts were discovered, in the realm of atoms as well as in the stellar universe, facts which did not fit in the mechanistic frame. The human mind is conservative, and the scientist makes no exception from this rule. He will accept a new theory only if it stands the trial of many experimental tests. It was Prof. Walther Bothe with whom I share the honour of the Physics Prize, who devised the most powerful method of experimenting in this field. His results were decisive. I think that the statistical interpretation of the laws of nature to which I have been able to contribute has stood the test; it is universally accepted today. A philosophy in which the notions of chance and freedom are fundamental seems to me preferable to the almost inhuman determinism of the previous epoch - but that is no scientific argument. The Royal Swedish Academy of Science has, by awarding to me the Nobel Prize for Physics, expressed the opinion that the ideas for which I have worked have been proved of value for the experimental scientist as well as for the theoretician. This is a great source of satisfaction to me. My wife and I have been in this beautiful and hospitable country once before, on our honeymoon, a young and inconspicuous couple. We spent an unforgettable fortnight in the Cavaliershouse at Drottningholm. How little did we expect then, that after more than 40 years we should return under circumstances so entirely changed. My colleague Professor Bothe is unfortunately prevented by illness to be present. I deeply regret his absence and you all will share my good wishes for his speedy recovery. May I express my sincerest gratitude for the great honour conferred upon me and for the very kind hospitality offered to my wife and myself, and to Prof. Bothe's children. From Les Prix Nobel en 1954, Editor Göran Liljestrand, [Nobel Foundation], Stockholm, 1955"
There is also the award lecture he gave. you'll have to click the pdf to view it. I'll let y'all infer what you will. Did edl leave a clue to Max Born and his work? Or did edm? Is it entirely coincidence? Born worked with wave function before 1933, so it's possible edl knew of him and his work before the writing or publishing of ABIEH. But I find it strange that the 'clues' seem to indicate something that was said 3 years after ed's death. You can read what edl and Born wrote. If edm knows what's up, then I would say the 'grail curves' are a drawing of a wave function, according to his page 105. I was thinking about this in response to Gardener posting in HEAVEN and EARTH, about bouncing signals off the moon. Then I got thinking about Arago spots and Poisson distribution if those waves were bouncing back at us from wherever they were bouncing back from. Why Poisson? Why statistics? Why ABIEH? Why on Christmas? Because I don't know it all, but I am piecing the puzzle together here. As always, this is my opinions on ed's work, but I'll try to make a valid explanation. Siméon Denis Poisson was a mathematician, statistician, and physicist. He opposed the theory of light waves, and supported particle light instead. Being the good mathematician he was, he predicted that if light propagated in a wave, it would cancel itself and reconverge around objects, which would leave a visible spot of light behind circular objects. Like the 2 slit experiment in a sense, but since it was never seen, he deemed it not to exist, and therefore ruled out light waves. Arago performed an experiment, showing exactly what Poisson predicted Fresnel's theory would do, and in turn, Poisson unwittingly proved, in math, Fresnel's wave theory was right. Arago and Fresnel would also go on to propose first that light traveled in a transverse wave as well. Remember the particle theory was also known as the corpuscule theory at one point. I've shown in this thread that I think ed alluded to supporting wave theory by coding allusions to George Paget. And that ed's repentance room looks like the 2 slit experiment. The yin yang has a wave in it. The grail curves on MC could denote an integral in mathematics, or a function. This same line is carved on ed's iron door, and from what I understand, outside ed's east wall, north of the rotating gate. The stick in ed's 'AT WORK' picture could represent 'lambda'. Lambda denotes wavelength. Also, time intervals in Poisson distribution. Why is the Poisson distribution even more interesting? Because the 'at work' pic can be viewed as a visual representation of it. Statistical event distribution with Poisson distribution looks like this. where P is probability, k is a real numbers 0, 1, 2, 3, 4, and on, and λ is the mean number of events in intervals. if ed is simply e, and there is λ, but λ is upside down, denoting -λ. But since λ is also the 11th greek letter, let's just consider it for a moment, and compare it to 'e'. Where euler's could also be alluded to, where ed is using λ to clue us to euler's. λ has a greek gematria value of 30.
λ is the 11th letter in the greek alphabet. 30/11 is a close approximation of e.
That's some basic thoughts on Poisson and ABIEH. I believe ABIEH is a cleverly disguised technical, scientific and mathematical guide to understanding how ed learned what he knew. These are the clues as I see them, hidden in a language you must consider and contemplate on, not just read. on ed's iron door, and from what I understand, outside ed's east wall, north of the rotating gate. This is the exact place where that stone carving is located.. right adjacent to the slit in the north wall/s and next to the Polaris Telescope EYEPIECE. Look to the right on the pic. You may have known of this, but your description led me to think you didn't quite know. If you open the west date and point it due East/West instead of North and South when closed.. then I measured the same distance from the west gate sun to the south edge of the eyepiece wall as to this carving sun. In other words.. these two carvings' suns are on opposite corners of a diagonal of a square. NO ONE else ever mentions this imortant fact but me it seems. If you look at the above pic.. you'll see it's almost like someone took the stones and set it a setting somewhere else. I wonder if authentic pic.. when this pic was taken. There's no trees like these anywhere near the vicinity of the Polaris Telescope. There is a couple little palm trees to the NE or the right hand side..but not nearly this tall. If authentic, my best guess is this was taken before 1992 and Hurricane Andrew..and quite a bit after he died. Notice there is even tree limbs blocking the view of the telescope. What owner would let that happen in a tourist spot that relies looking through this telescope? Why it seems like a doctored photo to me. 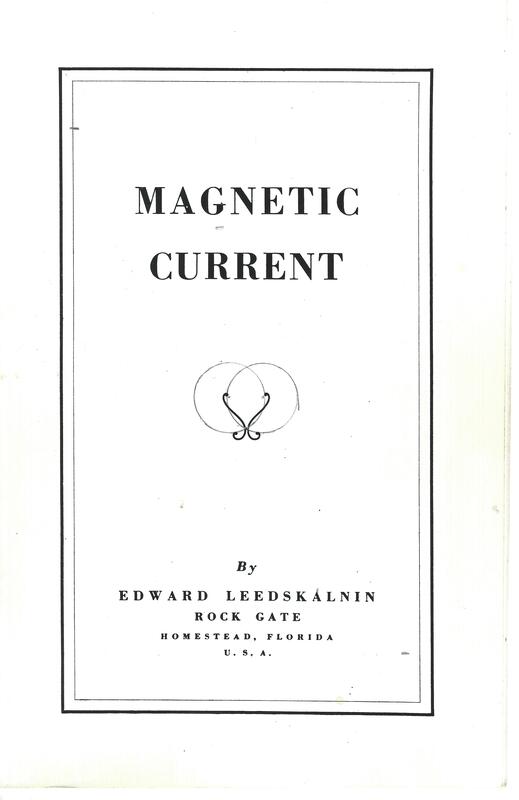 Of course, the user cites Magnetic Current with "added diagrams"